Every diver has different needs, so Divers Supply has custom packages to fit your specific needs as a scuba diver. The complete scuba package comes with a Scuba BCD, Regulator, Octo, Gauge and Regulator Bag. 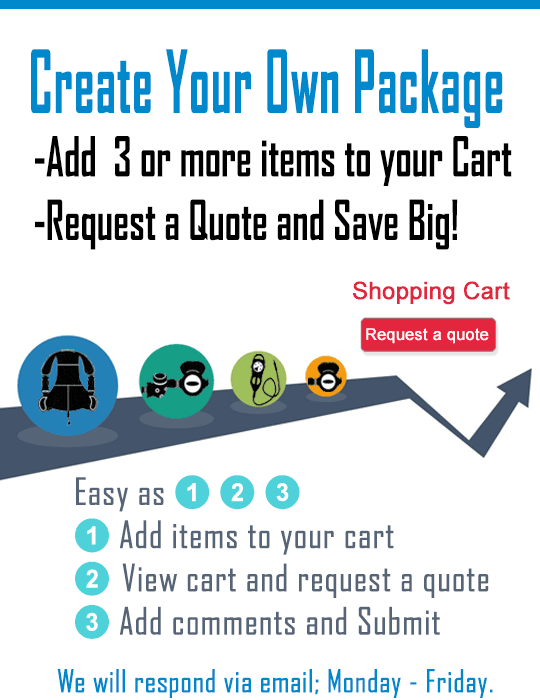 Unlike other dive centers (even possibly your own local dive store) where you may find few options and possibly, only the one that they want to sell, we give you choices to customize your own personal package. Be confident that all equipment is fully assembled by factory trained certified scuba divers. The highly anticipated BC-0101 Liberator Sigma II buoyancy compensator is a heavy duty, wrap-around jacket style BC that utilizes TUSAs Advanced Weight Loading System and Ultimate Stabilizing Harness, which ensures security and stability. With its two large, double zippered pockets with mesh drainage, you can maximize utility and function. 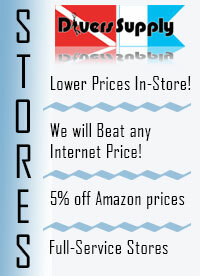 Scubalab's Best Buy for 2013! The EDGE Epic 2012 is proven high performance regulator with even more great features and benefits for 2012. The Epic is now even lighter than ever before due to its nylon braided EDGEFlex hose and hose pull is virtually eliminated with its universal ball swivel located at the second stage. A high performance balanced diaphragm 1st stage and pneumatically balanced 2nd stage make this regulator a performer at half the price of comparably priced and equipped regulators from other manufacturers. The EDGE Escape Octo delivers all the performance found in our popular pnuematically balanced EXP 2nd stage. The diver adjustable pre dive/dive selector allows for quick and easy tuning of the regulator for maximum air flow when in use but slight detuning for when it is not in use. The lightweight hign impact case, plastic air barrel, and high visibility yellow nylon braided 40in hose all make this octopus easy and comfortable to share air with, yet light enough to almost be forgetten by the diver carrying it clipped to them. The high visibility yellow soft push front purge button means the Escape octo is easy to see and locate and more importantly easy to clear when you need that next breath of air in an emergency. The EDGE Escape octo is our highest performning conventional safe second and our recomendation for maximum diving comfort and safety. Padded regulator bag with top carry handle and side pocket and a shoulder strap. Made of Cordura Nylon. Measures 11 X 11 x 4 Inches. 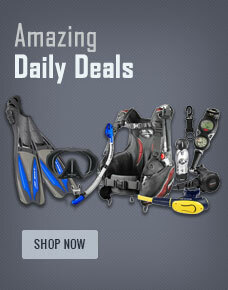 Buy TUSA Liberator Sigma System Package from Divers Supply at the best price. TUSA Liberator Sigma System Package comes with full Manufacturers warranty because Divers Supply is an authorized dealer for everything we sell.